China's relationship with the United States has been strained by the Trump administration's criticism of Chinese trade practices and by demands that Beijing do more to pressure North Korea to halt its nuclear weapons and missiles programmes. Xi Jinping and Donald Trump met for first time at Trump's Mar-a-Lago estate in Florida in April. 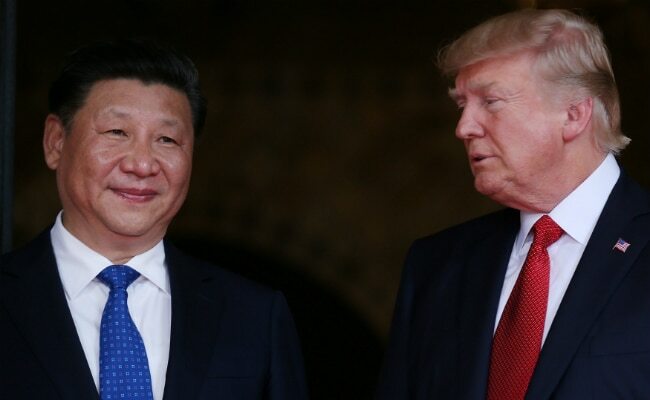 BEIJING: Chinese President Xi Jinping offered warm words for US President Donald Trump on Saturday, calling him a friend and saying he expected Trump's visit to China in November would be "wonderful". Xi and Trump met for the first time in person at Trump's Mar-a-Lago estate in Florida in April. Trump has since played up his personal relationship with Xi, even when criticising China over North Korea and trade. Meeting US Secretary of State Rex Tillerson at Beijing's Great Hall of the People, Xi said he had enjoyed his meetings with Trump and that the two had made considerable efforts to push the development of China-US relations. "The two of us have also maintained a good working relationship and personal friendship," Xi said, in comments in front of reporters. "I believe that President Trump's upcoming visit to China means an important opportunity for the further development of China-US relations," Xi added. "And I believe his visit will be a special, wonderful and successful one." In comments later reported by China's Foreign Ministry, Xi added that cooperation was the only correct choice for both countries, whose common interests far outweighed their differences. Both countries must "on the basis of respecting each other's core interests and important concerns appropriately handle, via dialogue and consultations, differences and sensitive issues", the statement cited Xi as saying. Trump will travel to Asia in November for the first time since becoming president, stopping in Japan, South Korea, China, Vietnam and the Philippines on a trip expected to be dominated by the North Korea nuclear threat. Tillerson told Xi that Trump and his wife Melania were looking forward to going to Beijing. "This is a relationship that continues to grow and mature on the strength of the relationship between yourself and President Trump. And we look forward to advancing that relationship at the upcoming summit," he said. There was no mention of North Korea in comments made in front of journalists at any of Tillerson's meetings, which also included top diplomat State Councillor Yang Jiechi and Foreign Minister Wang Yi. China's Foreign Ministry, in separate statements on Tillerson's meetings with Yang and Wang, simply said they exchanged views on the situation on the Korean peninsula, without elaborating.